8mm and Super 8 films were one of the main ways that many home videos were shot in the past. While many people who have these films still have the 8mm players in their homes, they are becoming less common. Also, each time that the film is played; more scratches are applied to the film causing damage. This can lead to the loss of parts or the whole film. If you are able to convert the 8mm film to digital, the film will be preserved in its current state. By doing the conversion at home, you can save a lot of money, and still get a great result. The easiest and most cost-effective method of converting 8mm film to digital data at home is by recording the film using a digital camera. To do this, you will need a smooth white wall, a table, an 8mm projector, a digital camera, a tripod that fits the camera, and an area that has low light. When you are looking to start the converting process, you will need to set up the projector and the camera in the area that has low light. The camera should be next the projector and about 4 to 6 feet from the wall. This will depend on the 8mm projector that you are using. Once both of the items are set up, turn on the projector, and make sure that your digital camera has the whole projection in the frame. This may mean that you need to move the camera forward or backwards to fit the whole image in the frame without a border. Zoom is an option; however, it can lead to blurring of the images. Once everything is in frame, you should start the recording and the video. Once the film is recorded onto the digital camera, it is time to import the film to the PC. Step 1 Download and install the software. When you are looking to convert an 8mm film to digital, you will need to download a program to make the process easier. 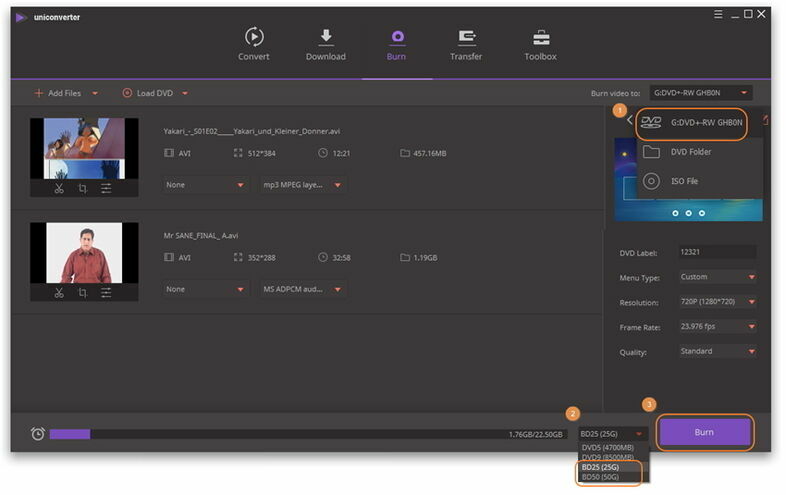 The easiest software to use when converting 8mm film to digital is the Wondershare UniConverter (originally Wondershare Video Converter Ultimate), as it is the best option. There is a free trial if you are not sure how much you are going to use the software. The download and installation only takes a few minutes, and only a few clicks. Step 2 Import the recorded 8mm film and edit the video if you want. When the recording is finished of the 8mm film, connect your digital camera to your computer, or insert the memory card that was used to record the film. Once connected, find the storage device, and save the video files to the computer. When the files are saved to the computer, the files can be opened in Wondershare UniConverter (originally Wondershare Video Converter Ultimate). The other method for an import is to open Wondershare UniConverter (originally Wondershare Video Converter Ultimate) and import the video within the program. In both methods, the video files are added by using the Add Files button, or by dragging the files into the program window. 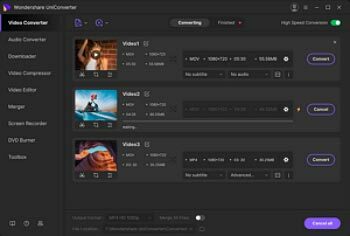 Within the Wondershare UniConverter (originally Wondershare Video Converter Ultimate), there is a built-in video editor. If you need or want to edit the video, the editing should be done now. 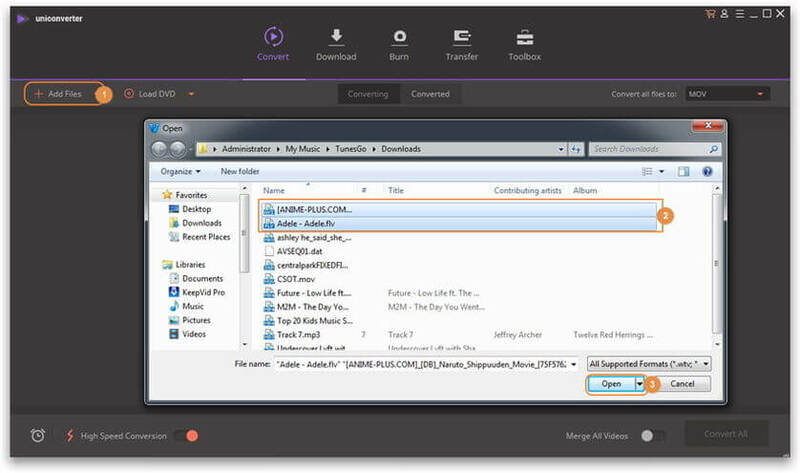 The editing software within the Wondershare Video Converter is easy to use and only takes a few minutes to do. Just click one of the editing buttons under the video thumbnail to enter the window, learn more about editing videos. Step 3 Select output format and output folder and convert. After importing and editing the video, the next step is to pick to the target format. The software can be set into many of the most popular formats and for the most popular devices. Once a format is selected, select where you what the film to be saved, or you can use the default destination folder as well. After the options have been selected, click the Convert All button, and wait for the program to finish. Step 4 Burn the video to DVD through the software. Unlike many other video editing, the Wondershare UniConverter (originally Wondershare Video Converter Ultimate) has a DVD and Blu-ray burner in the program. Once the video has been converted, you can insert a DVD or Blu-ray DVD into the disk drive that has the ability to burn files to the disc. Then add the file to the program like to convert the file, and click the Burn button. The time that it will take will depend on the size of the file, and the disk drive that you are using.